Facebook Places - Implied Consent? I Just wanted to update you all on the wonderful new feature over at Facebook- Facebook Places. Facebook Places clearly has potential- massive user base, loads of opportunity for geo-targeted specials (as has been masterfully created by Foursquare, Gowalla and other products). However, as has been a growing concern for many users, there are lots of potential risks and privacy concerns. That which follows is my own opinion and more than likely does not reflect anyone elses concerns. The usual disclaimer applies. As I made quite clear in my argument with Paddy I am not a big fan of implied consent when it comes to advertising, privacy and targeting. Similarly, I am not a big fan of implied consent when it comes to my location and the ability of others to publicly announce where I am at present. And we all know of some of my existing concerns with Facebook. 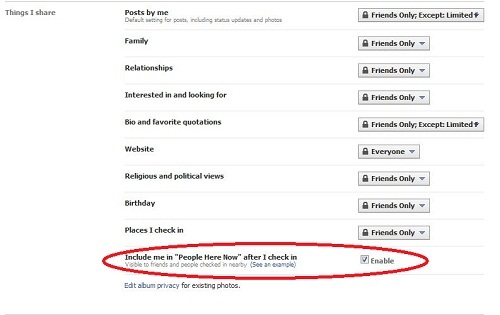 Take a look at the default settings of Places within the privacy settings on Facebook. Please note that I have not changed anything with regards to Places. Take note that the user is automatically included in the "people here now" section- visible to anyone nearby. Perfect for that restraining order I've just got against my crazy ex-girlfriend! 2. "Allow Friends to Check me In"
I'm not too sure what the default for this one is- as it seems to be neither enabled or disabled. Judging by the above and other countless examples of Facebook privacy issues I would venture a guess that the implied consent rule holds and the default would be that others (your "friends") are allowed to check you in. Again, probably not the end of the world if you trust your friends but it can be a real doozy. I'm sure Eric Schmidt and the Google team would probably say something to the effect of "anonymity is dead, blah blah blah" and "don't do bad things and no one will know" and so forth, but this takes control right off the table. It's bad enough that my friends might call me out and check me in to the local karaoke joint when I'm there but it's far worse to consider that they could check me into "The Golden Banana" in the greater Boston area whilst I'm still living in London! And given the number of young people on Facebook, this will defintiely be an issue. Maturity is not a universal trait. 3. If enough people check into a place it becomes "public"
Here's another cause for concern. If someone wants to, they can create a "Place" for my home. If enough people check-in here it becomes public. Well, if any of you remember the hilarity and awfulness that came of Corey Delaney and his parents being out of town, it's fair enough to assume that a "small gathering" could quickly turn into a flashmob, riot, or epic house party... with loads of uninvited guests. There are a couple takeaways/thoughts from all of this. The first of which is: you should probably trust your friends- if you're willing to call them your friends on Facebook you should probably know them well enough to assume they won't sabotage your reputation online. If not, it may be time for a "friends clean-up" on the old Facebook account. 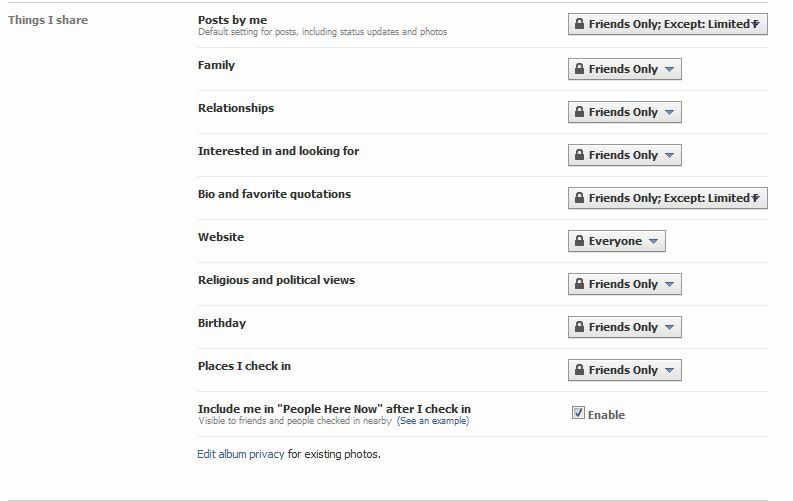 The second is that you can disable a number of these features simply by adjusting your privacy settings in your Facebook. I don't mean to raise conspiracy theories here or make a huge stink because you can opt-out. The third of which is: hold on to your hats if you're not big on your Twitter stream and News stream (on Facebook) being clogged with folks who have gone a bit trigger happy with Foursquare... things are about to get a whole lot worse. All that's left is to wait and see if this can be harnessed and become another masterstroke to help Facebook compete with Foursquare and the like- or whether it's enough to push some users over the edge.